We have more than 20 years in the music industry and all those years make a big difference. 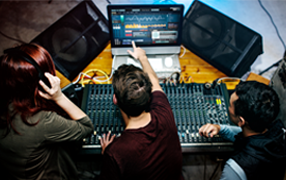 Knowing all the available recording technologies from the starts of music production until today, plus the years of mixing experience, gives us a bigger panorama about audio production. 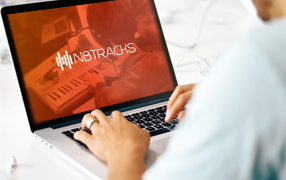 If you want to know the price for making custom backing tracks, send us the audio file on mp3 format, or the YouTube link. You can do it by sending us an email or you can use the quote request form. I'll answer you very fast! Don't forget about visiting our customer reviews section. Are you planning the recording of your album? Well, recording your first album it's very easy, and I can help you with that. You are in the right place because I can do it for you! Yes! 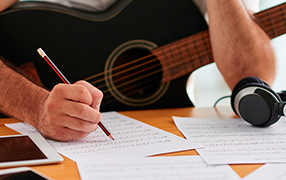 I can record your album fully orchestrated and instrumented in the style you want.